Swim With Sharks™ - "Swim to Breathe"
It’s obvious there’s a major difference between diving with great whites versus bundling up in your favorite hoodie - I mean they’re virtually incomparable - but there’s a brand out there that’s fusing these two pastimes… or at the very least, promoting the idea of it. 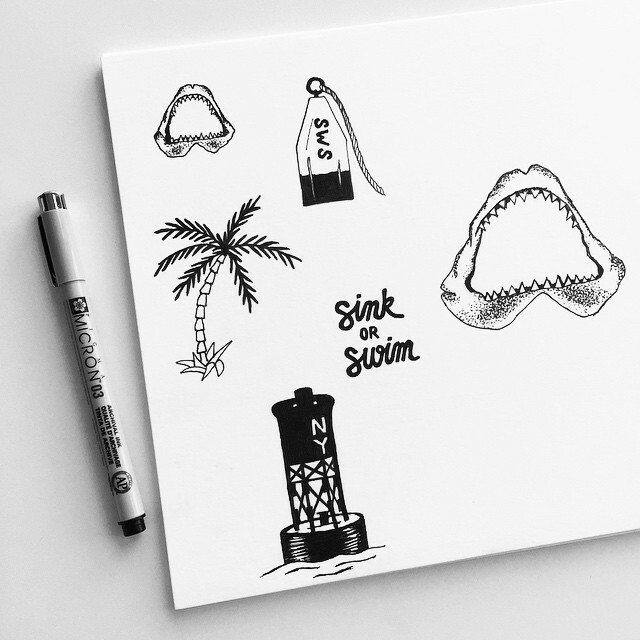 Scrimshaw recently caught up with Nicole Huber, the founder and sole creative behind New York based clothing company, Swim With Sharks™, to learn a little more about her life, line, and inspiration behind it all. Jump in with us and get a first hand look at the NY brand, Swim With Sharks™ (SWS). SC: So Nicole, would you mind telling us a little bit about your upbringing - did you grow up in the New York area? 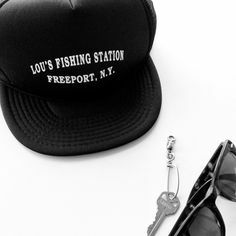 SWS: Yes, I grew up in Freeport, NY, on the south shore of Long Island. It’s pretty much a boating and fishing community, where my grandparents ran a fishing station for over 30 years! So I spent a lot of time growing up on the docks, fishing, etc. - ALWAYS on the water. Then, during summers and holidays, my family and I would rent houses out on Montauk, where I was again, always on the water or at the beach. We totally understand that feeling of being able to grow up by the water. Montauk is amazing, and that’s really special to have in your life. We spent some time at Ditch Plains this summer and had a blast. The first time I actually went stand-up paddle boarding was at Ditch Plains, and I was nervous I was going to disrupt the surfers! Haha, well we’re sure you did just fine! So when you’re not hitting the waves, its seems you’ve been extremely busy with SWS. When looking back at the beginning, was there one particular moment that stemmed this new venture? I’d actually had a previous venture based around the music scene in Long Island, that lasted for about five years. I then took a break last year to rediscover my creative outlet. I was doing anything I could to express myself, through painting, writing, and drawing. I didn’t want to rush the idea to just figure it out. We totally agree. You’ve really got to find a passion that’s deep within, allow that fire to ignite, and let it grow over time. Right, you can’t rush it! I wanted to focus on my aesthetic and had to be patient. The name Swim With Sharks was actually a blip in my notebook for a while, and every once in awhile, I’d flip back to it and think. I eventually pitched it to my brother (one of my best critics), and he loved it. That day I signed up for the LLC & trademark, and knew that was it all at once. It kind of happened organically, and still surprises me everyday. That’s amazing! Trust us, we know exactly when you’re saying about coming up with a name. Once you settled on an idea and name, how did you settle on the gear you’d produce? I’ve always considered myself artistic, and originally considered focusing on art - not apparel. But I really liked the idea of creating something people can wear, designing a conversation piece. I think people choosing to wear a specific something is important! Yes, when you find something that you like, whether that be something to listen or read to, or in this case something to wear, there’s generally a talking point. And speaking of conversation pieces, have you ever swam with sharks? Ha, I actually haven’t but I know there’s a charter boat out on Montauk that does it. I don’t think I ever expected the name to be so literal, but people love the whole idea of sharks, especially the mystery and fear of them. I do have plans for next summer to get out there and do it though. I’d say the SWS name was more figurative in the beginning, and it’s developed into a double meaning. My tagline is “swim to breathe” based off the idea of always moving and progressing, and it seemed to fit. Our name also plays a similar role, which allows us to explore our meaning over time. I agree, the SWS title really does make a great conversation starter if they see the name on the back of a t-shirt or front of a hat. It’s a lot of fun to get such an intrigued response from people who genuinely want to learn more. That’s great you’re getting such positive feedback and interest! 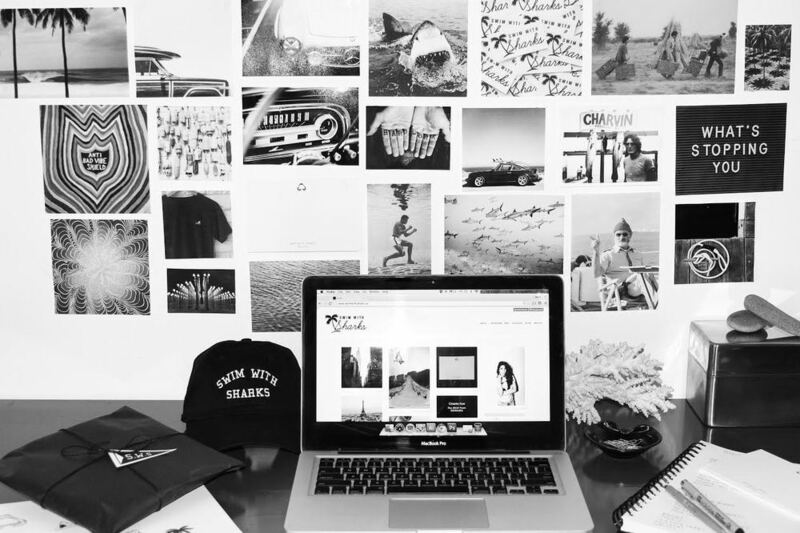 It sounds that you’ve got a supportive outlet from your family and friends, plus an obvious influence from the ocean, but do you have any inspirations that’ve helped drive your curated black and white style? I actually never thought it would be all black and white, it just kind of happened. One of my favorites artists, Kelsey Brookes (out of San Diego), does these crazy vibrant abstract paintings with very vivid colors. Plus work by Serena Mitnik-Miller of San Francisco. I’ve also always been a huge fan of both Saturdays and Pilgrim Surf Supply. I also love James Bond - especially Sean Connery, who exudes that cool classic style. Absolutely! You know what, I think we are riding the same wave. We love the guys at Saturdays and Pilgrim, and who doesn’t love a little 007! I agree we’re definitely on the same wavelength. I was reading your site and was thinking I’d love to visit a lot of the places you’ve recently check out. I’ve been dying to get up to the Dia:Beacon as well as explore Block Island! Thanks - you have to get to both, they’re amazing. In speaking of similar wavelengths, with your connection to Montauk, do you know the team at Whalebone? You know I don’t specifically, but I did get to visit their new shop in July and have been corresponding with one of their writers. Whalebone is all over the place out there, and its true to Montauk. When you’re in this industry, and know the passion and hard work that goes into it, you respect the people that are doing the same thing as you. And they’re a company I share that respect with! Apart from the great state of New York, are there any other places that’ve had an influence on SWS? I love the city of Paris, its architecture and feel, and want to get back there! Although it takes a full day of traveling to get there, Harbour Island in the Bahamas is amazing; the trip to get there is worth it to sit on such a perfect beach. Also, Seattle is an amazing town! Shop online at Swim With Sharks™ by clicking HERE; use the code THANKS2015 at checkout to receive 20% off your purchase - ONLY THROUGH FRIDAY! All amazing places - get me to that beach in the Bahamas ASAP! Now, one more question before we have to go, but is this a sole venture on your part? It is and its actually been very refreshing during the process. You need to be able to bounce ideas off one another, and I have a strong support of family and friends for that. I love the aesthetic of pen and paper, design all my own gear, and really like the athletic feel! I’ve just released a few new items, and I think what’s really telling is that if I want to wear it, than that’s a major selling point for me! Plus, the SWS Instagram account has been huge in helping get my name out there! Well Nicole, thank you so much for taking time out of your day and introducing us to your amazing brand Swim With Sharks™! Thank you so much for your interest, and wanting to learn more about me and my work!